Traffic en route to Manchester yesterday was terrible, leading to a late arrival and virtually no time for pre-gig beer. After checking in, we headed straight for Oxford Road, where I introduced my companions to Big Hands. We then walked at pace to the Arena, where we encountered a queue of great magnitude. Worried that we’d miss some of the gig, we began to regret the pre-departure drinks in Gateshead and our one drink in Big Hands. After what seemed like an eternity, we discovered the cause of the queue; airport-like security, complete with metal detectors. The large queue was being filtered through a half dozen security lanes. Once inside, beer was hurriedly purchased before finding a suitable viewing point. 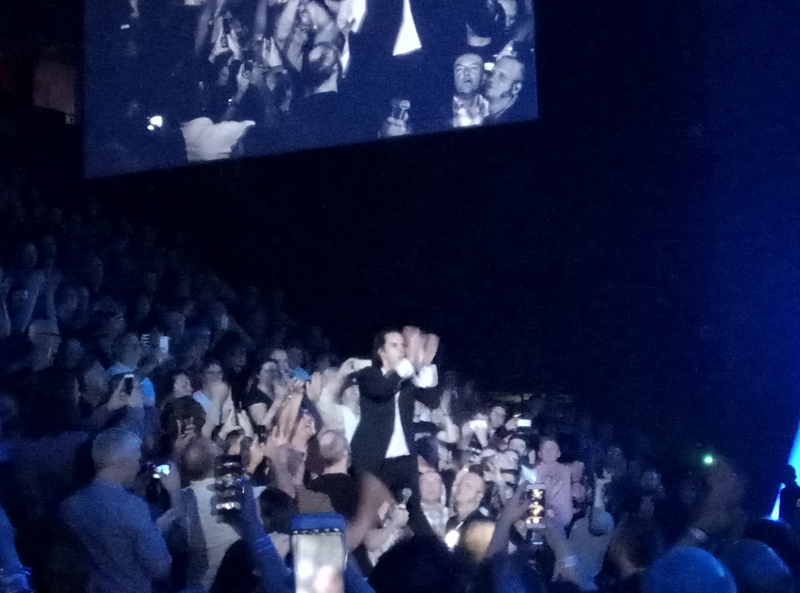 Then, within a few minutes, the band came on stage. And delivered an incredible performance. I won’t say more, it’s all here. But I’ve been struggling to get the theme tune from Peaky Blinders out of my head all day. It was so good, I only have one rather pathetic picture and nothing uploaded to Youtube. Afterwards, we hastily reunited and set off for Sinclair’s Oyster Bar and the Shakeapeare, both of which were no longer serving. Which meant a march back to Oxford Road, where we found a Wetherspoon’s open. Just. After a quick beer, we relocated to the more favourable surroundings of the Temple. All but one of my companions hadn’t been there before, but I’m sure they’ll all return. Food followed, then it was back to Big Hands until closing time at two. On our return this afternoon, a farewell drink was a must before we all went our separate ways. With fond memories of Mr Cave’s performance in the company of nice people. This entry was posted in Friends, Music, Out and about on 26/09/2017 by garymoore. Since I’ll never see the outer side wall of the shed again, I’ve spent a couple of hours going over the pointing, making sure there were no gaps or obvious weak points. 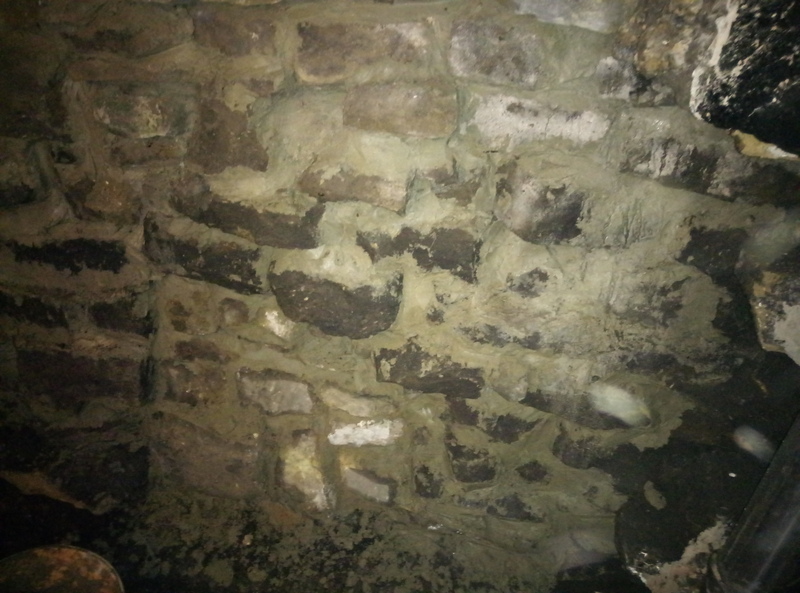 I’ve also made a start on the inner wall. I’d have done more, but the lure of food and beer on a sunny day was too great. 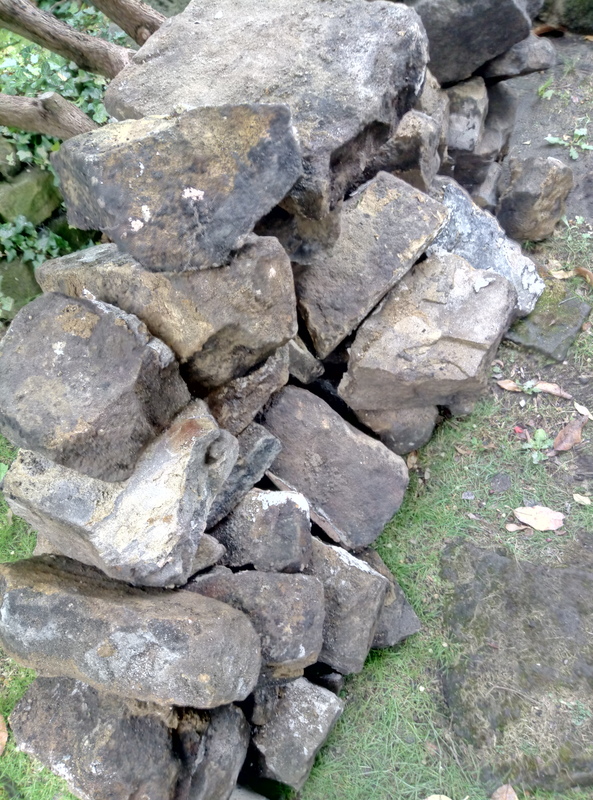 The rock pile was temporarily reduced, since I’d used some of it on the wall. 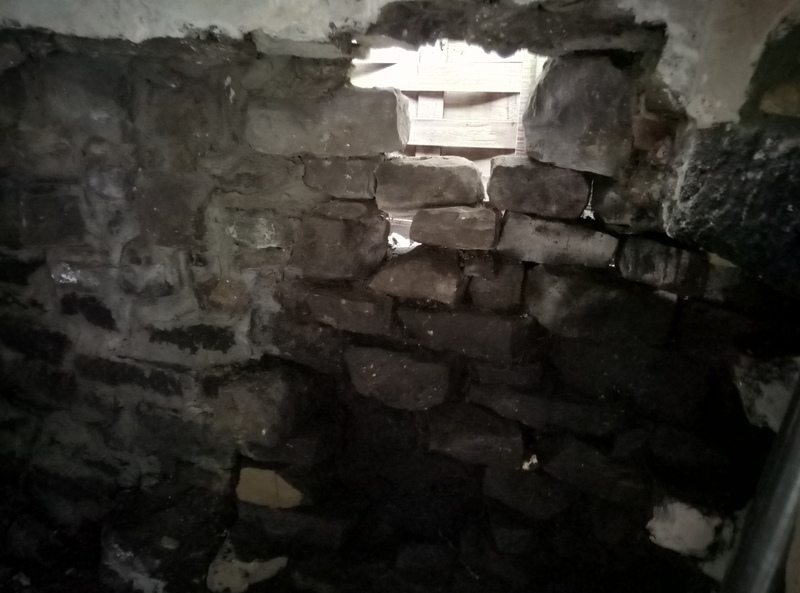 But adding damp stone from inside the shed increased its size again. I think that the shed would look good with a wall in front. 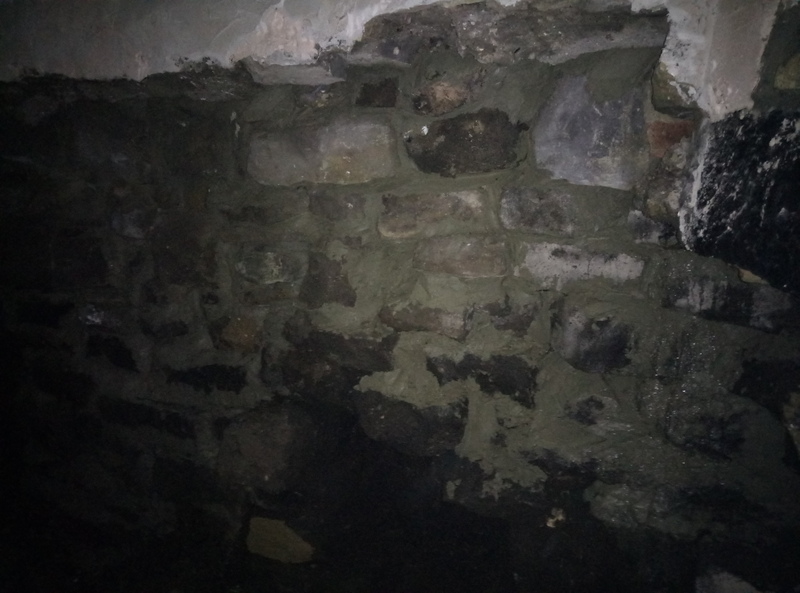 This entry was posted in Doing stuff, Garden, Sodhouse Bank on 24/09/2017 by garymoore. 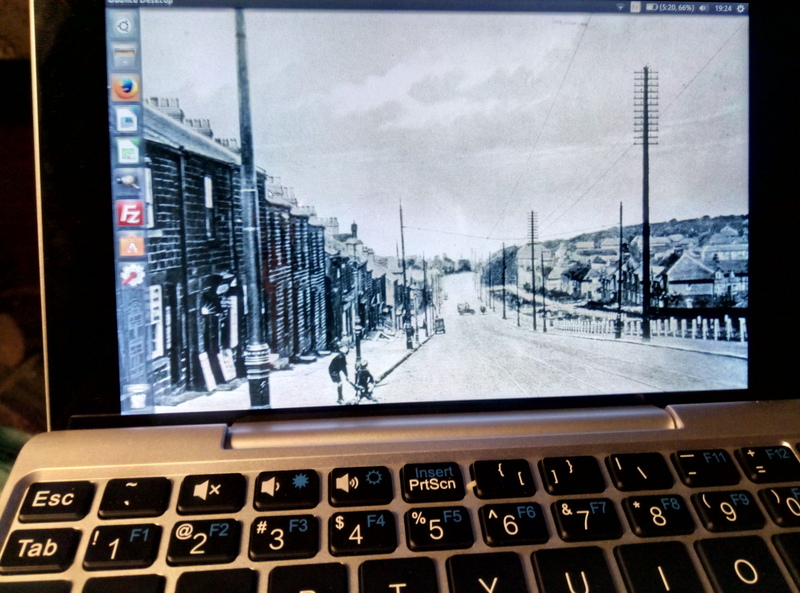 A couple of days ago, I got round to installing Ubuntu on the GPD Pocket. I’d bought the Windows version with the intention of adding Linux as a dual boot, but then I found that such a thing isn’t possible. And so, I had to patiently wait for the Ununtu download. While the computer worked great with Windows 10, I bought the thing with the intention of running Linux. Which it now does. I love it. This entry was posted in Technology on 23/09/2017 by garymoore. Well, not really. But I have finally rebuilt the outer side wall of the shed. I’d intended only to point it, but almost all had to be rebuilt. 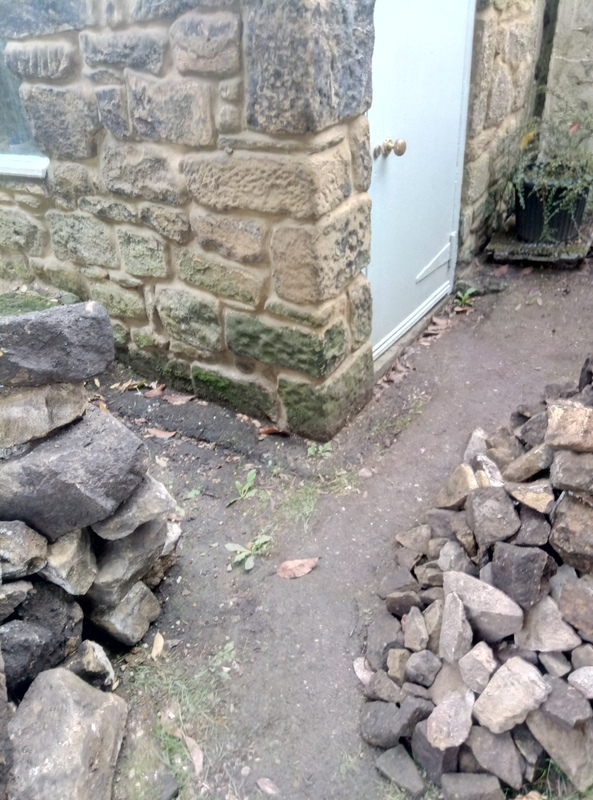 The hole left over from last weekend had to be expanded because the blocks of stone were all loose, exposing more of my neighbour’s garden. Thankfully, it’s no longer visible. There’s some finishing off to do tomorrow, then I may begin rebuilding the inner layer. 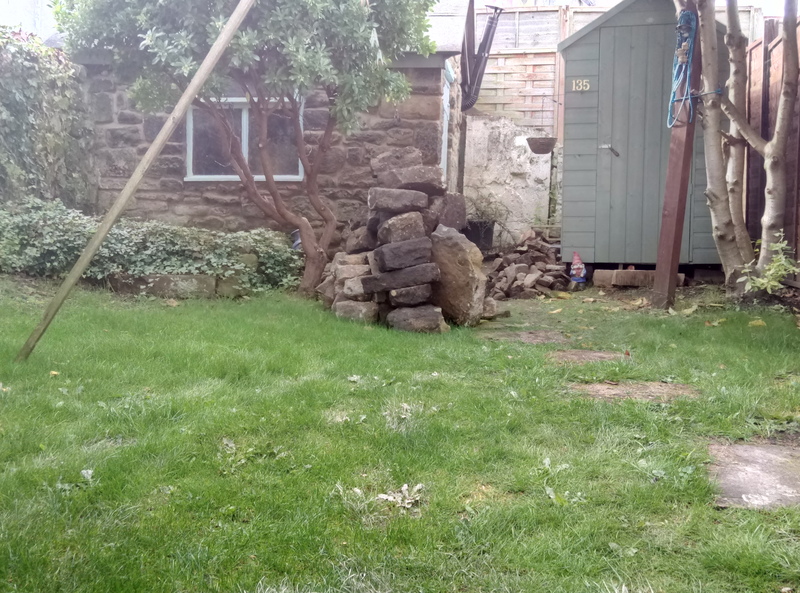 This entry was posted in Doing stuff, Garden, Sodhouse Bank on 23/09/2017 by garymoore. 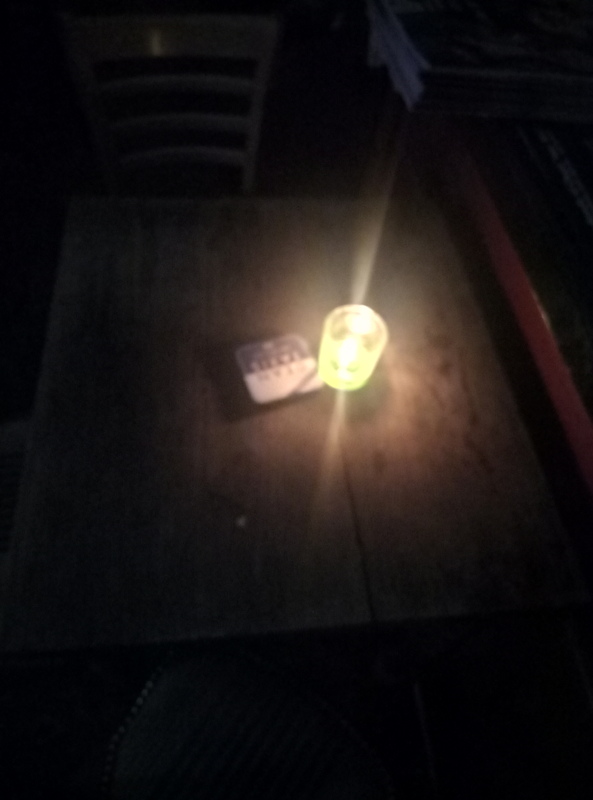 Our local now has candles on tables. And sofas. But some improvements are still possible. 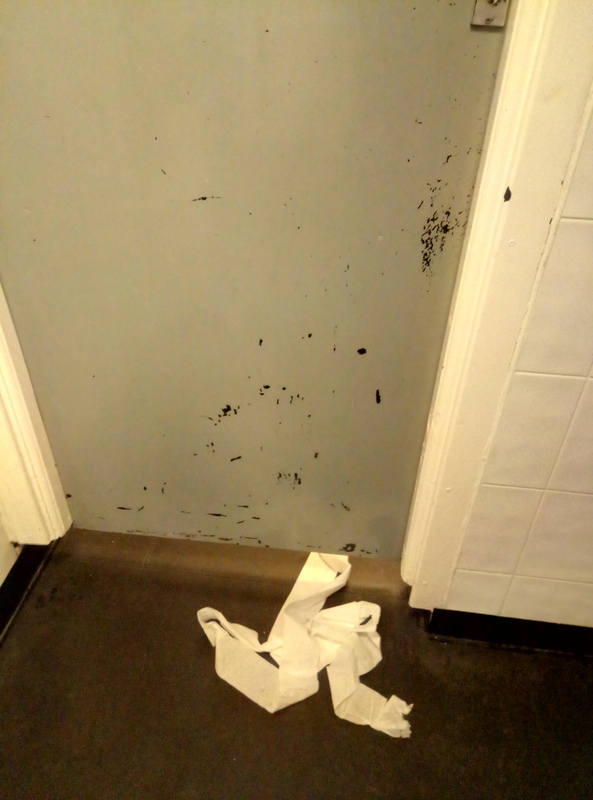 This entry was posted in Pubs on 22/09/2017 by garymoore. 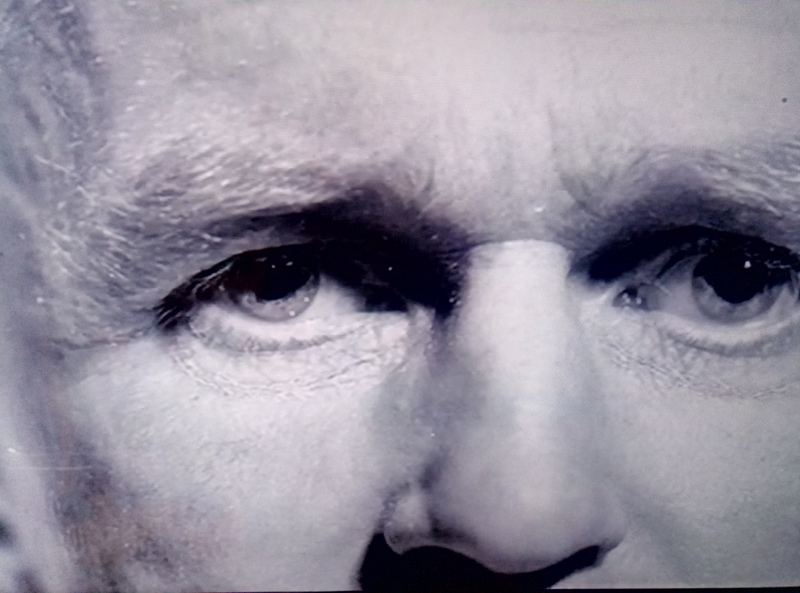 Currently watching the legacy of Lawrence of Arabia on BBC4. This entry was posted in History, TV on 19/09/2017 by garymoore. While I’m very happy with my crowdfunded GPD Pocket, I do still read the comments from fellow backers on Indigogo. Every now and then, someone will leave a tip about a decent accessory, a case, power supply, or usb stick. There’s also the occasional piece of advice about O/S downloads. 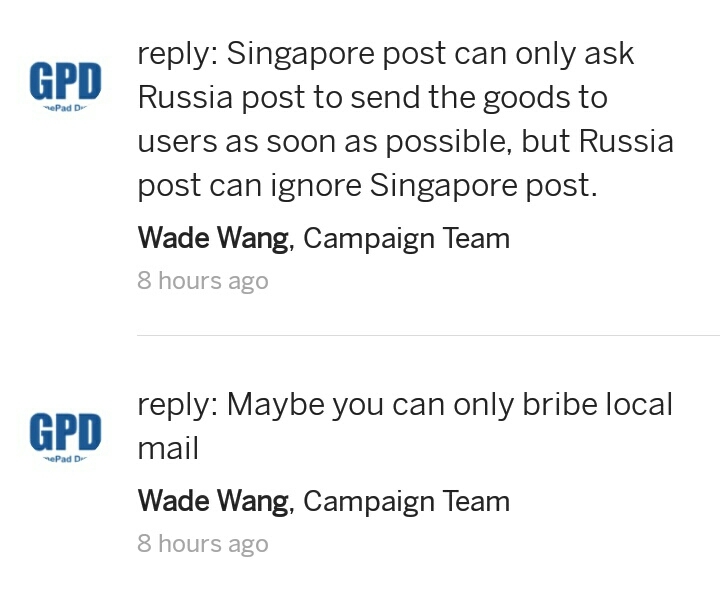 I also enjoy GPD’s responses. For examply, when asked about the non-delivery of a replacement hall sensor, the response was as follows. At least, I think that’s what it was about. Delivery in general is also a common cause for contact; recipients in Japan and Russia, in particular, seem to be experiencing delay. 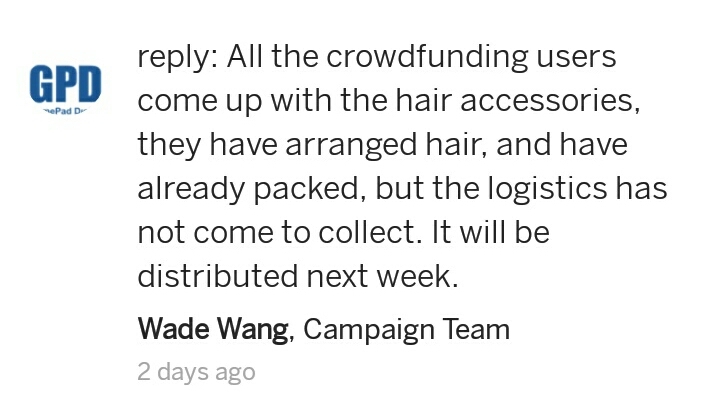 One backer, from Russia, recieved this reply. This entry was posted in People, Technology on 19/09/2017 by garymoore. While standing at the bus stop this morning, waiting for my usual bus to work, I noticed that my glasses were a little dusty. On inspection, I found myself to be wearing my heavy decorating pair, the garish red ones I’d purchased by mistake. At that very moment, the bus arrived. Knowing I couldn’t really wear my red, plaster spattered glasses for work, I returned home to exchange them for something more appropriate. Arriving back at the bus stop, I realised I’d set my bag down on the sofa while I found the correct glasses. So a further return to the house was necessary (fortunately, it’s a short walk). On inserting my key in the lock, I discovered that, in my haste, I’d neglected to lock the front door on my (second) departure. I’m now on a bus to work, albeit somewhat late. Wondering what else I may have forgotten. This entry was posted in Stupid on 18/09/2017 by garymoore. For several years we’ve run a Linux/Windows dual boot on the living room computer. I’d rather stick with Linux, but Windows sometimes (rarely) does things which are awkward in Linux. Since it’s been a couple of years since the machine was set up with Ubuntu/Windows 7, a clean install was overdue. As was a move to a more up-to-date version of Windows. 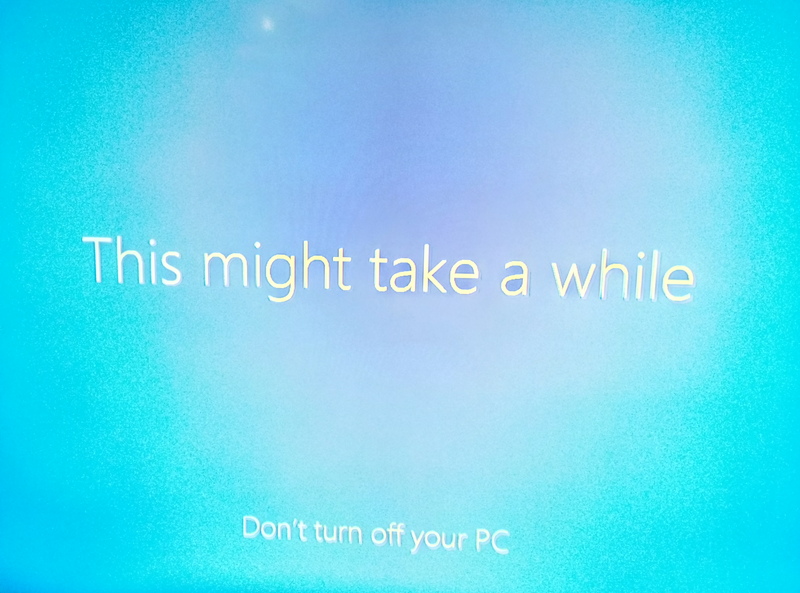 Installing Windows 10 was surprisingly painless, although it was still a lot slower to get up and running than Linux. Yes, it did take a while. 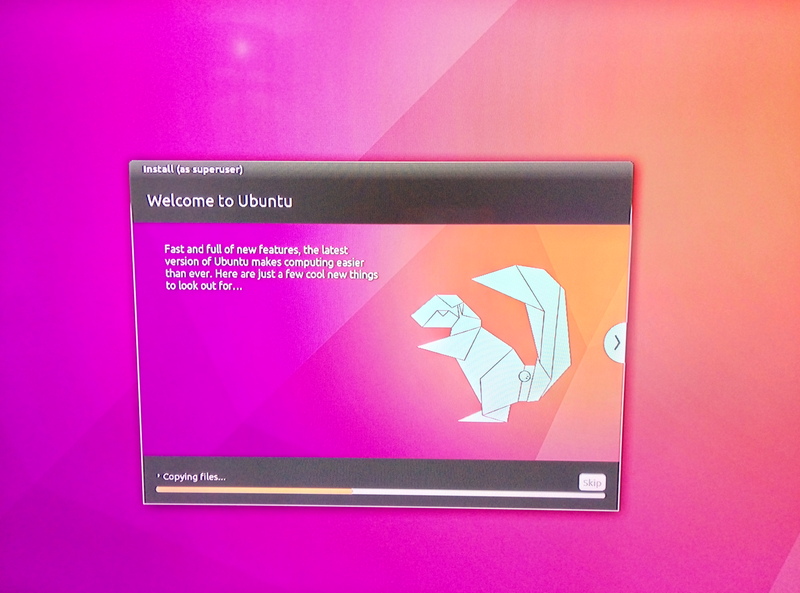 Ubuntu, on the other hand, was really quick. Which was impressive since that included the dual boot setup and the programs that need to be installed separately in Windows. This entry was posted in Technology on 17/09/2017 by garymoore. A larger area of wall was tackled today. 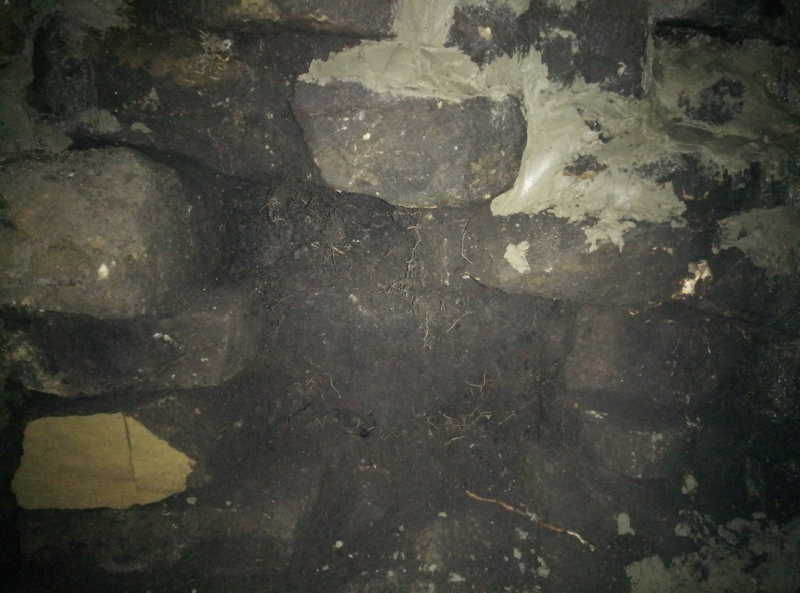 As with previous sections, the outer wall was in a terrible state. So some rebuilding was necessary. Unfortunately, I wasn’t able to complete the job. The heavens opened just as I was running low on cement. The rain was so heavy, mixing more was out of the question. 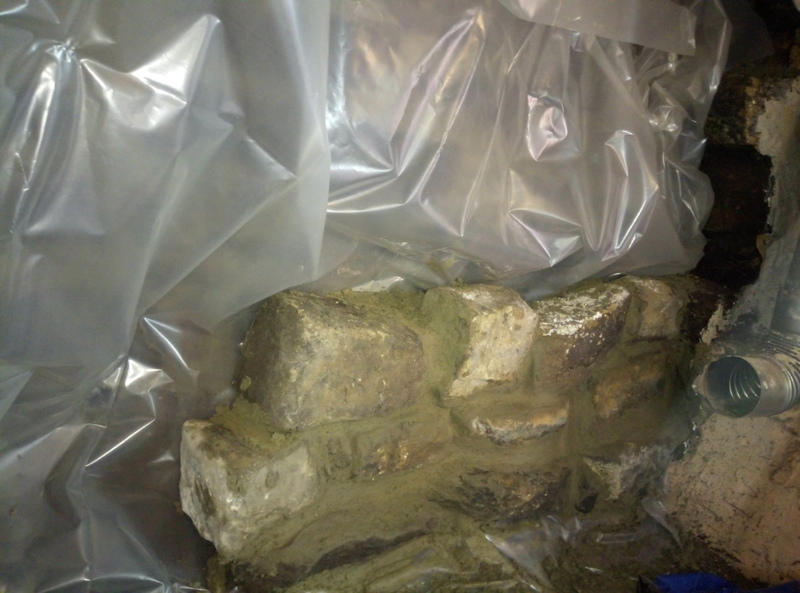 This presented a problem in that I’d removed a very large piece of stone, exposing the garden of the house behind ours. Yes, the black stuff is compacted soil. While I fear that our neighbour’s garden may fall into our shed, I shall try to leave work early enough one day to complete the job. 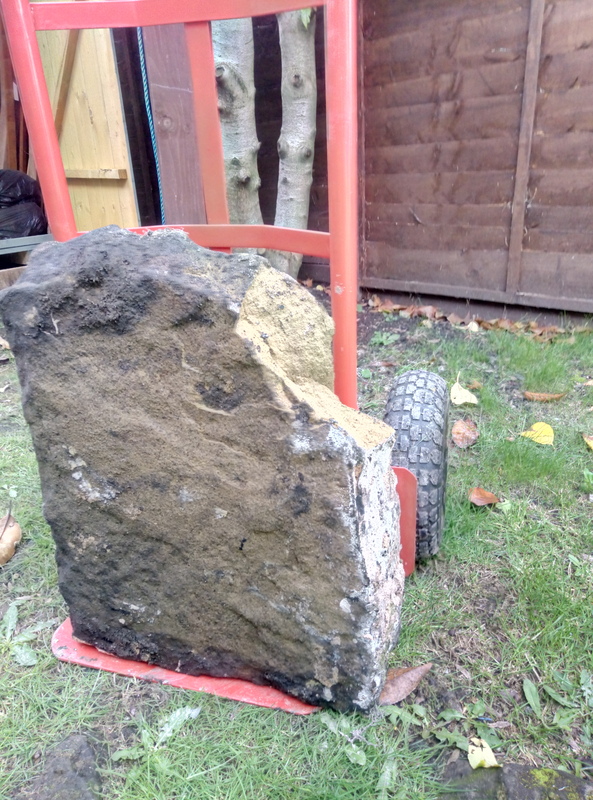 While on the subject, the large stone was too heavy to lift. 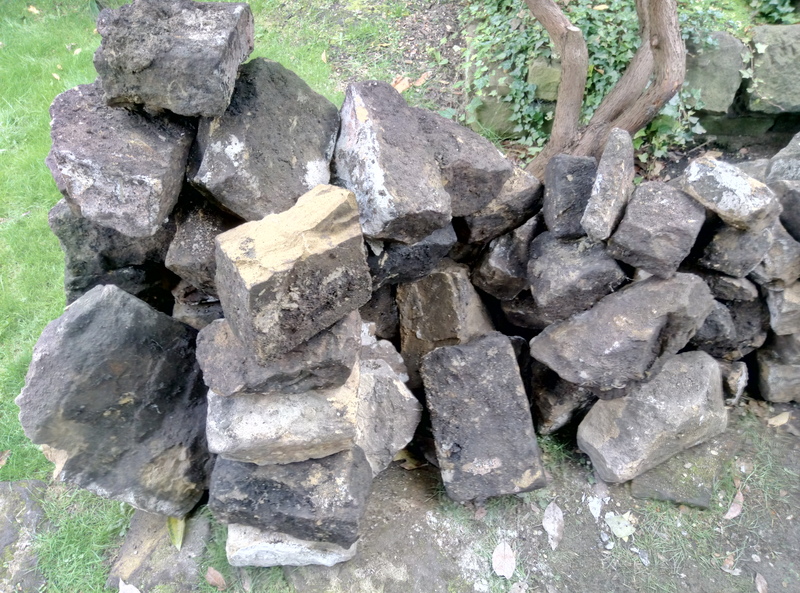 And the pile of stone in the garden has grown a little. 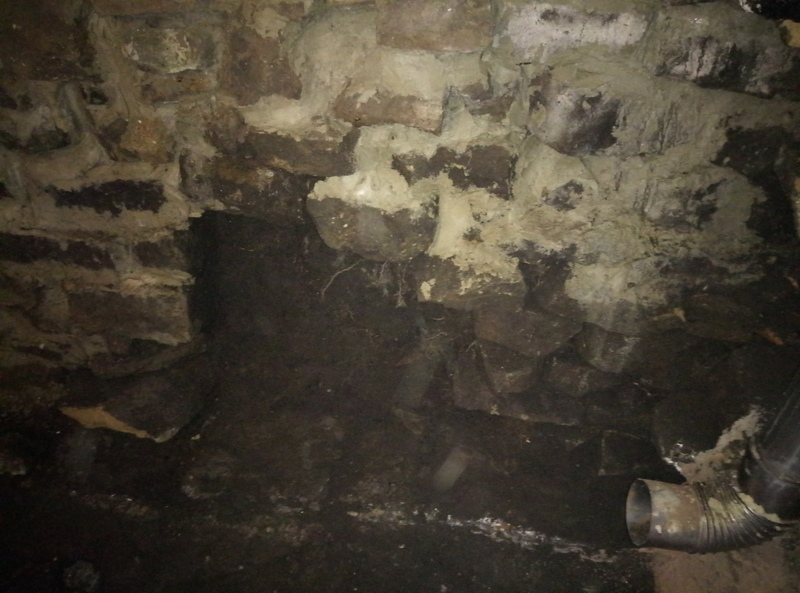 This entry was posted in Disaster, Doing stuff, Garden, Sodhouse Bank on 17/09/2017 by garymoore.